The TL24Vac & TL32Vac can drive any four pin compact fluorescent lamps PL18 and PL26W from a 24Vac or 32Vac supply. 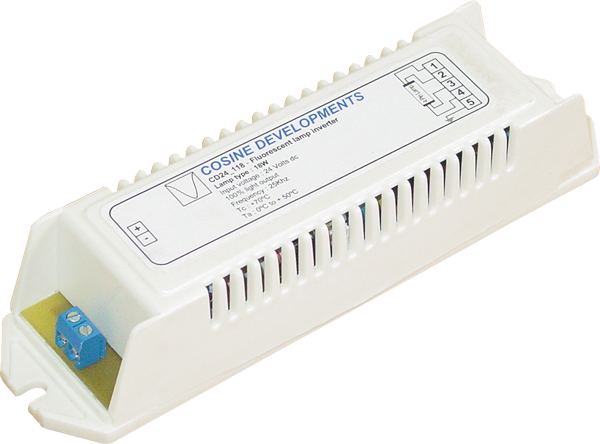 It can be used for emergency lighting, standby lighting, and industrial applications. Optimal design ensures long lamp life and reliable lamp ignition. Design features include high power conversion efficiency, high lumen efficacy, high supply immunity (for automotive applications) and input fuse protection. No damage will result if the lamp is removed whilst the power is on or if the lamp fails.